إن فندق Sovereign Hill Country Lodge and Vineyard بموقعه الممتاز في Rothbury هو نقطة انطلاق جيدة لنزهاتك في هانتر فالى. يمكن من هنا للضيوف الاستمتاع بسهولة الوصول إلى كل ما تقدمه هذه المدينة النابضة بالحياة. سوف يعشق النزلاء موقع هذا الفندق، فهو قريب من أهم المعالم السياحية في المدينة كمثل Hunter Valley Horse Riding & Adventures, The Vintage Golf Club, Bimbadgen Winery . كما يقدم Sovereign Hill Country Lodge and Vineyard الكثير من الخدمات لإغناء رحلتك في هانتر فالى. يقدم الفندق مدفأة, تسجيل وصول/تسجيل خروج خاص, خدمة سيارات الأجرة, مطبخ, تسجيل وصول/خروج سريع لضمان الراحة القصوى لضيوفه. تتضمن كل غرف النزلاء وسائل الراحة والتسلية المصممة خصيصاً لضمان الراحة القصوى للضيوف. سواء كنت من محبي الرياضة أو كنت تتطلع لتفريغ عناء نهار صعب، ستجد خدمات ذات مستوى عالي بانتظارك كمثل ملعب مصغر للجولف, مسار جولف - ضمن 3 كم, حمام سباحة خارجي, تدليك, ملعب تنس. يشكل Sovereign Hill Country Lodge and Vineyard بخدماته الراقية وموقعه الممتاز، قاعدة مثالية للاستمتاع بإقامتك في هانتر فالى. Even though I was staying for business it was so beautiful see the Kangaroos and other furry creatures in the morning and at Dusk, it was beautiful to walk around the property and also to attend Shane's Yoga class of an evening. I would love to go back another time to enjoy the local olive groves and restaurants. I particularly like that there was a kitchen available to cook a quick meal at the end of my day after the conference. I also loved the farm cat Fifi. Great place, very welcoming family. Lovely stay, bed could of been a little more comfortable... Otherwise would recommend to friends! 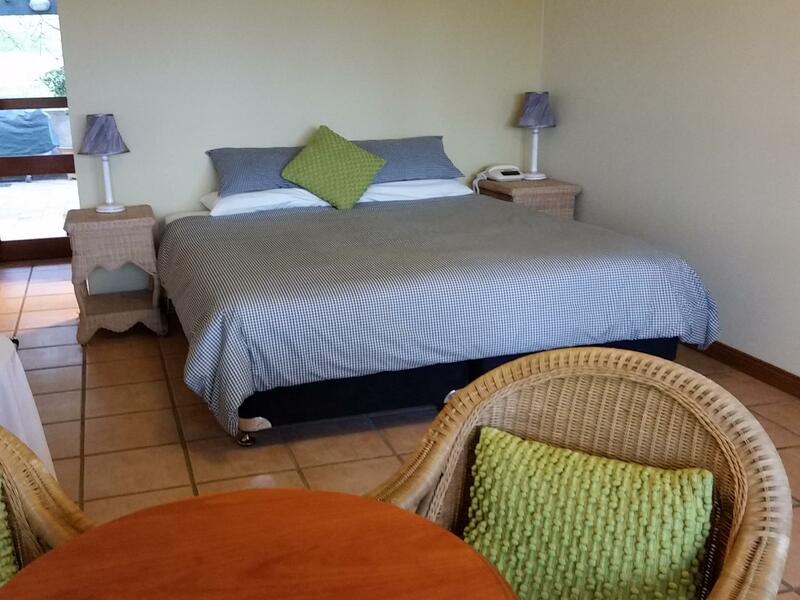 Tranquil,peaceful with good facilities and great hospitality. Couldn't have been a better relaxing stay. Location, comfort and proximity to wine region. It was a pleasant find, although a little hard to find in the dark and poorly marked, sign too small and dark, at the gate. Needs a bigger sign with white writing and solar lights to mark the location. Solar lighting along drive would also help get into and out of the facility at night. Nice wine sold from their own cellar door. ,friendly owners,quiet surroundings,nice tennis court. I was staying in the hotel for one night with my 10- year old daughter and a husband.It was probably one of the most relaxing breaks i have had for a while.The room was basic,but very clean,the beds were very comfy ,and the owners were very friendly and welcoming.My daughter loved the tennis court.The hotel is located in very quiet location, not far from all the vineyards and Cessnok.Overall it was very enjoyable stay. You should return during summer as your daughter would enjoy our pool and we have a pool pavilion for shade and see other improvements we have made. Pros: Pretty Tuscan style motel style unit; gorgeous views; birdlife and roosters crowing added to the scenery; great location; wine and cheese on arrival; friendly owner, very nice Chardonnay. Cons: Very thin walls, can hear other occupants voices and televisions, squeaky beds, and shared "balcony", not conducive to any privacy; instant coffee for breakfast instead of real coffee at $200 a night was an "instant black mark" in my book (take your own coffee and plunger) - it wouldn't hurt them to put a plunger or pod coffee machine in each room; breakfast left in the refrigerator was a six pack of eggs with an egg machine, cereal, milk, juice, and toast; no butter, only margarine which I won't touch - we went out for breakfast after the first day; ancient, noisy airconditioning units need replacing. I would not stay here for a romantic getaway but would recommend for parties staying overnight for an event as we saw other occupants had organised convenient bus service to a concert at one of the wineries. We did not feel this accommodation was value for money. Overall 3/5. Time to come back and see our renovations and bring friends for a weekend getaway. Nice view, quiet surroundings and very close to nature. 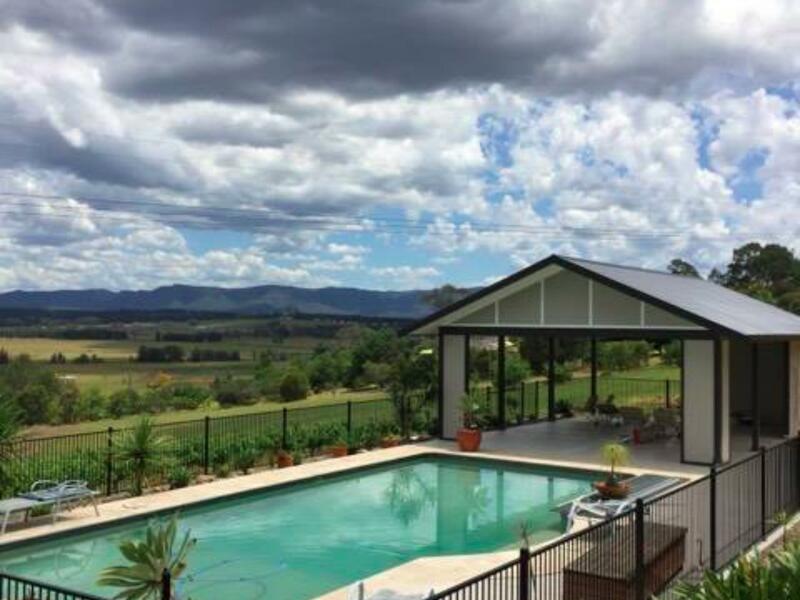 The hotel is located on a secluded hill with great views if the hunter valley region. Only 6 rooms are available. It can be scary at night though but I love the peaceful atmosphere with nature. Breakfast is packed nicely in the fridge and all electrical appliances available in the room to make a fantastic breakfast. Nice staff, cute dog, big rooms. It's located at the high side of a vineyard, therefore it has a very good vineyard view.